Eda is an LL.M. (Comparative Law-Thesis) candidate at McGill University Faculty of Law, researching in the field of privacy and personal data protection. Her thesis, which she is drafting under the supervision of Prof. Geneviève Saumier, concerns the determination of applicable law in private enforcement of data protection laws, particularly against social networking services. She has completed her LL.B. with Honors at Koç University, Istanbul where she also obtained her Minor Degree in International Relations. Before she started pursuing her LL.M. 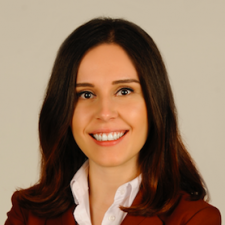 degree in 2017, Eda worked as a lawyer registered in Istanbul Bar Association. She practiced, among others, in the field of data protection and privacy and designed data protection compliance programs. During the course of her studies, she started to be involved in the work of the CIPP and Prof. Pierre-Emmanuel Moyse as a part-time Research Assistant, with a particular interest in projects concerning data protection and privacy law. As of September 1st, 2018, she started her work as part-time Fraser Mann Research Assistant. This content has been updated on September 28, 2018 at 16:55.